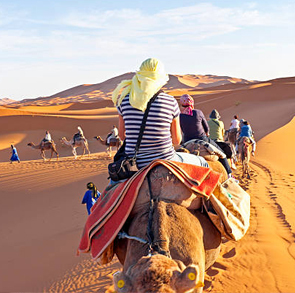 Morocco offers fun, exhilarating activities for tourists and therefore we plan our activities so that tourists can experience the whole Moroccan culture while in Marrakech. 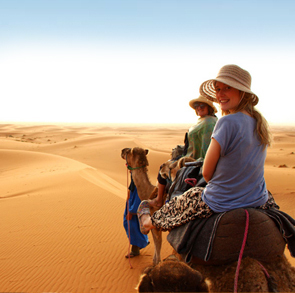 The 2-Day desert tour from Marrakech to Zagora is a great example of this policy. 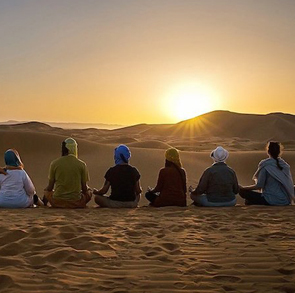 This two-day, one-night desert excursion is a group event with shared costs that brings together about 14 tourists for a fun desert experience. This means couples or a group of travelers pay significantly less than they would if they opted to have a private Marrakech Zagora tour. The first day of the 2- day tour involves enjoying breakfast at your hotel before being picked up at your Marrakech accommodation by 8 a.m. in an air-conditioned minibus. The eight-hour drive is comfortable and has great scenery such as the 2,260 m altitude Tichka pass which offers a panoramic view of the Atlas Mountains. After crossing most of the Atlas range, the guide stops for lunch and exploration of the old Kabah village at Ait-Benhaddou. After Ait-Benhaddou, the next stop is at Ouarzazate, which is a popular town among Hollywood directors for filming movies. After exploring the city of Ouarzazate, the trip will continue south to the beautiful Oasis along the Draa valley. The journey to Zagora desert will continue until about 4 pm. 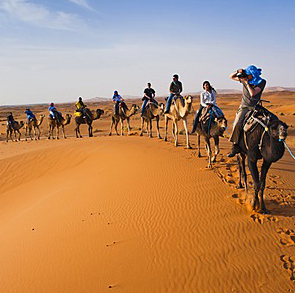 When the tour finally reaches Zagora, you can engage in camel riding activities in the sunset to explore the region or head straight to the desert camp if you are fatigued from the eight-hour journey. The camping site will provide, dinner, accommodation as well as breakfast as included in the itinerary. The second day begins just before sunrise with an early camel ride that will explore the surrounding areas as you take in the morning sun. Once the camel ride is over and you have taken enough photos, you will sit down for a traditional breakfast. The journey back to Marrakech will begin after your morning meal. On the way back to Zagora, the guide will make timely stops to have lunch and explore the beautiful sites at landmark places along the way. Tourists will also get to explore the beautiful scenery of the Draa Valley as well as the high-altitude Tichka Pass. The tour will reach Marrakech around 5 pm and 7 pm depending on the traffic as well as time taken during the stop overs. Experiencing and exploring the wonders of Zagora Desert is something you can’t afford to miss. For more information on our 2 day desert tours from Marrakech to Zagora just contact us today. Your tailor-made exciting adventure is waiting!